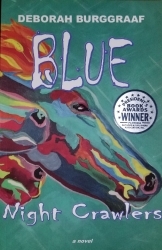 Set in 1959 in Dixon, Illinois, this historical fiction will take you on an adventure filled with collecting night crawlers, bucket neighborhoods, growing up with a loving family, and even a friendship that may develop into a forever love. 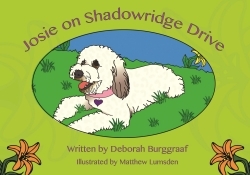 Come take flight with Lilly as she heads west each summer to be with her favorite canine friend, Josie. having a pillow party at night. 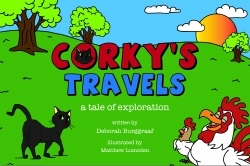 A man, a stray cat and a small cottage on a hill, CORKY'S TRAVELS is a charming tale of everlasting love. Jim rescues a two-week old black cat from a dirt trench and takes him home in the warmth of his arms. Come soar in flight with these pesky, black flies that swarm our southern-belted states. 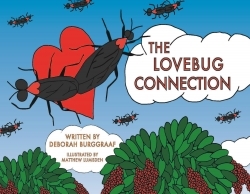 Enjoy their delicate flights, only to learn that our connected lovebugs actually help our beautiful green fauna by depositing, "needed food for plants under your trees."